Aortic valve stenosis is the commonest form of valvular heart disease in the Western world, currently affecting about 7% of the population over the age of 60, while 3% of people over the age of 75 have severe stenosis. With an aging population, its prevalence is expected to increase dramatically in the next few decades with major financial implications for global healthcare systems. Aortic stenosis is characterized by progressive valve narrowing that leads to a high-pressure load on the left ventricle (LV), triggering hypertrophy of cardiac myocytes, and increase in LV wall thickness and mass. 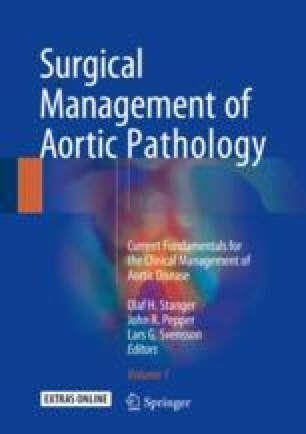 At present there is no effective medical therapy capable of altering disease progression so that the only treatment is aortic valve replacement (AVR), usually with either surgical or percutaneous techniques. Current international guidelines recommended AVR in patients with severe stenosis and evidence of LV decompensation (either on the basis of symptoms or a reduced ejection fraction). Following AVR patients demonstrate a variable degree of regression of the ventricular hypertrophy with favorable prognosis demonstrated in the cohort of patients with the highest level of regression. Myocardial fibrosis is often seen in patients before intervention, and its presence is associated with worse perioperative and long-term outcome. In this chapter we review the literature pertaining to the importance of myocardial fibrosis in patients with aortic stenosis and evaluate the mechanisms, detection, and clinical significance.